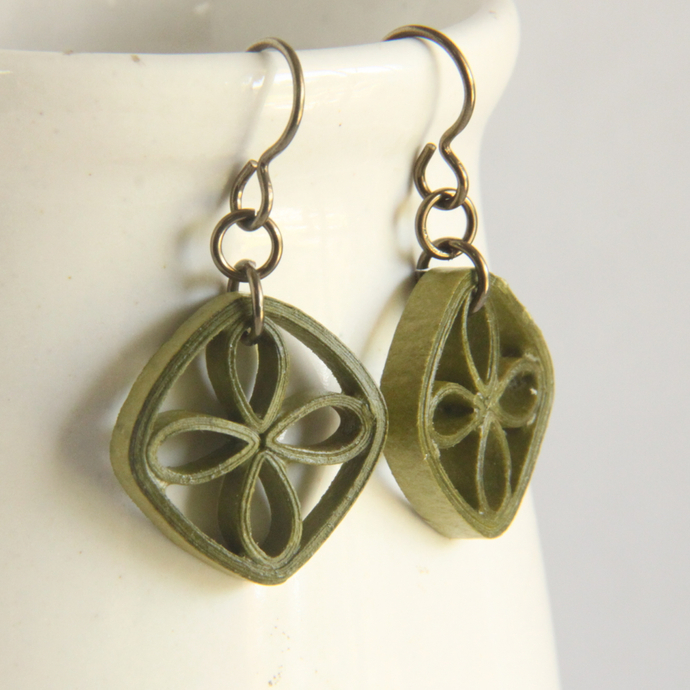 Simple, yet adorable, these eco-friendly single floral lattice earrings are handcrafted by the art of paper quilling. 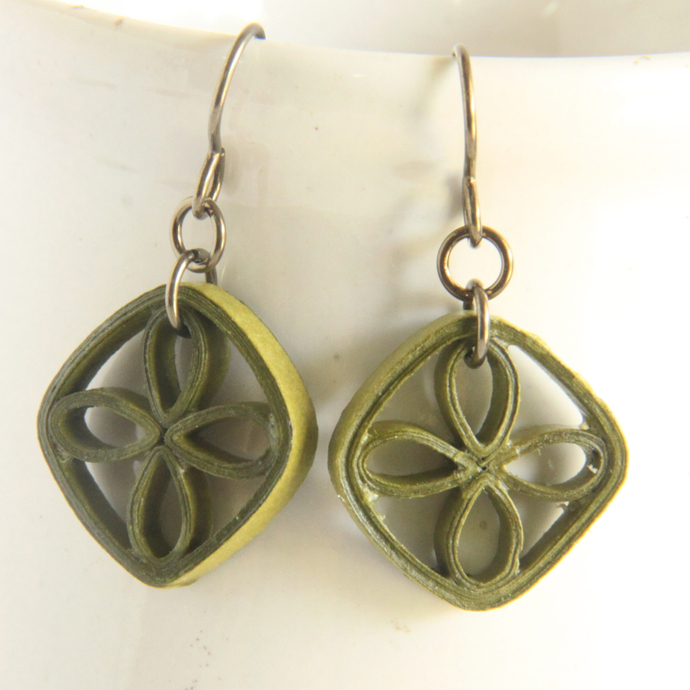 I chose an earthy leaf green paper to make this cute pair. They are small, delicate looking, and beautiful! 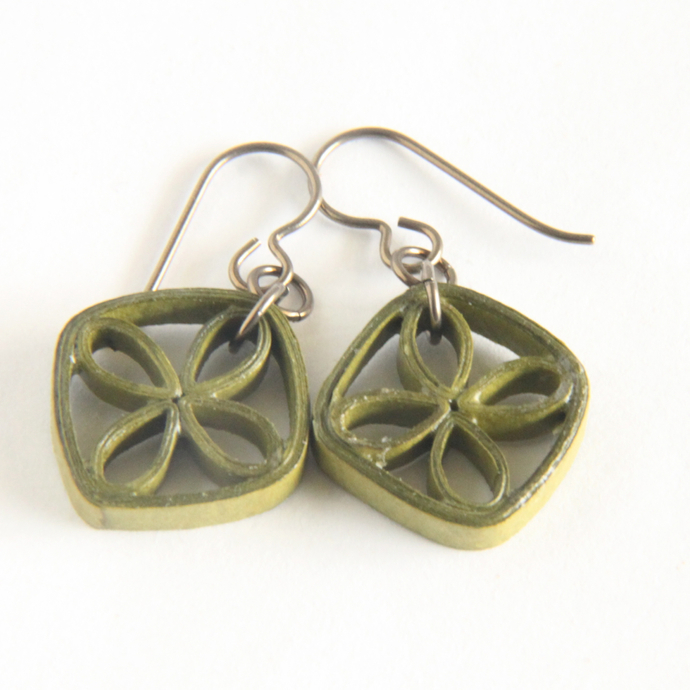 Perfect for those who prefer small earrings but something that is still unique and fashionable! These would also be great bridesmaid gifts as they can be made in any colors to match your wedding and with bulk order discount. This special pair is finished with niobium jumprings and earwires. Why niobium? It is non tarnish and as hypoallergenic as pure gold! 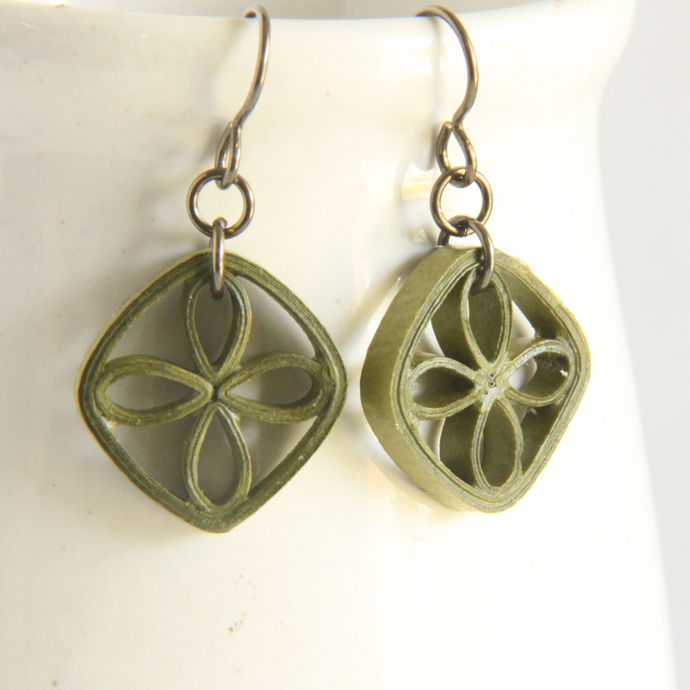 It is my favorite metal to use for my own earrings and I am happy to offer it on my earrings here as well! 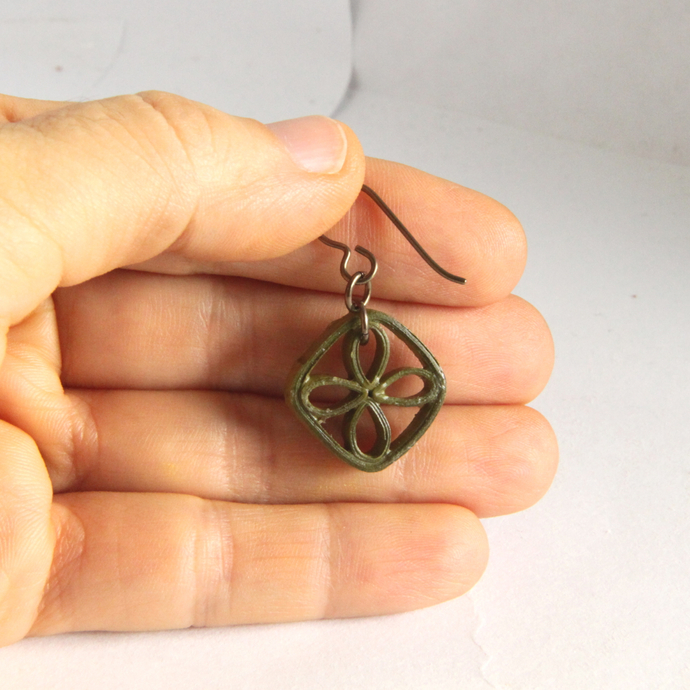 Each earring almost 7/8" (2cm) long and wide.